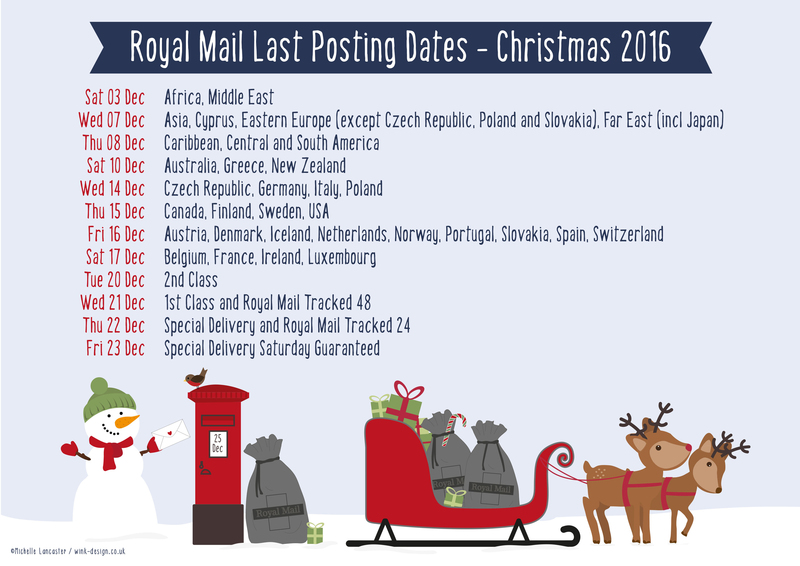 The Royal Mail have released their last posting dates for Christmas; every year for the past few years I've made a poster - and this year is no different! This information is really vital to any small business sending orders out to customers, and is also useful for anyone sending items abroad for xmas. You could just print out the boring old Royal Mail web page showing all the dates... OR you could have a lovely poster to put up on your wall! If you think this will be useful to you - perhaps you're also running a small business, or maybe you have friends and relatives around the world and need to know the last posting dates so you can get your cards and parcels out on time - feel free to download my little poster!